Nearly a year ago now Facebook ran into some trouble over their Moments app. The app is a separate photo app that users can use to privately share photos and tag their friends. This app however, used a facial recognition system that would automatically tag photos and this was found to be illegal in European and Canadian courts. Facebook only released the app in the USA at the time, but now they've changed the app so they've been able to release it worldwide this month. 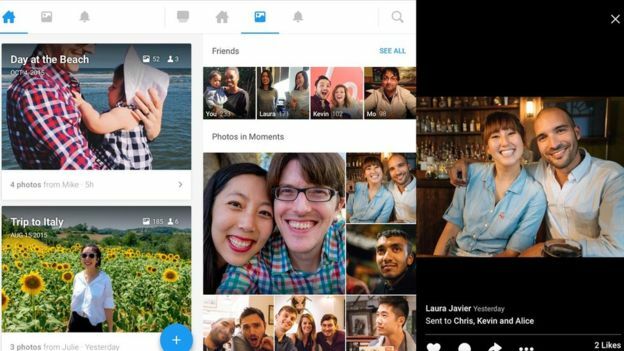 The new Moments app no longer auto-tags or keeps people's photos on their system. Rather than using the facial recognition technology, a cropped low quality version of the photo is uploaded to the cloud and they use that to compare it to other photos on your phone. The picture does not remain on the system and are only hosted by Facebook when the image is publicly shared. This way of comparison is known as facial clustering. These comparisons aren't made for a tag, only to make a suggestion of who this picture looks like. You still have to type in the user's name and obviously if the person doesn't want you sharing that, then you're encouraged to remove it, but this app is a private sharing service anyway. Facebook only expects users to send photos on the app to around ten of their closest friends so it isn't likely to be too much of a problem. Facebook are claiming that the original version of their app is still the better version, but the other Moments app is still good. They've reported to the office for Irish Data Protection and they have agreed that the newer version of the app can be released in Europe. The app has been released for now and any changes that need to be made for data privacy reasons will be done so at a later date. There are worries that users will be slow to pick this app up as people will have to tag the names themselves. Now people are used to auto-tagging, they might feel like it's too much effort to tag themselves. The comments in the UK GooglePlay store remain mostly positive for now and Facebook think that users will eventually see the benefits and will start using the app.